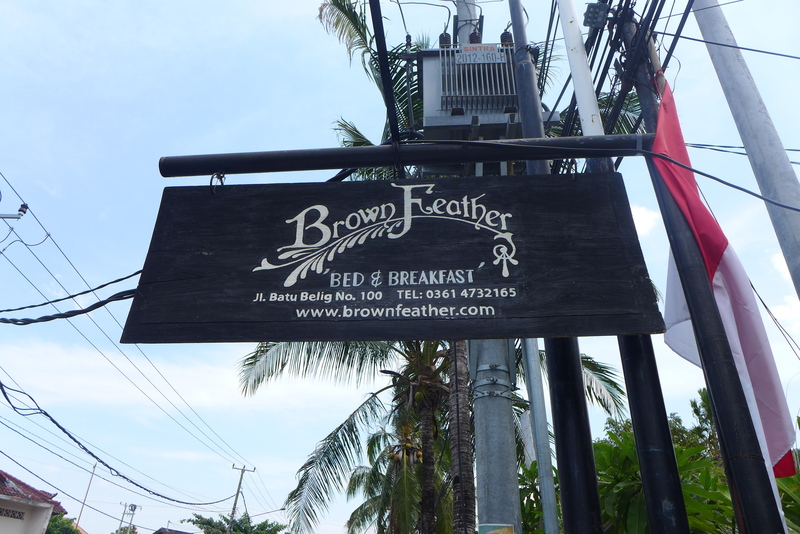 Brown Feather is probably my favorite out of the three places we stayed in at Bali. 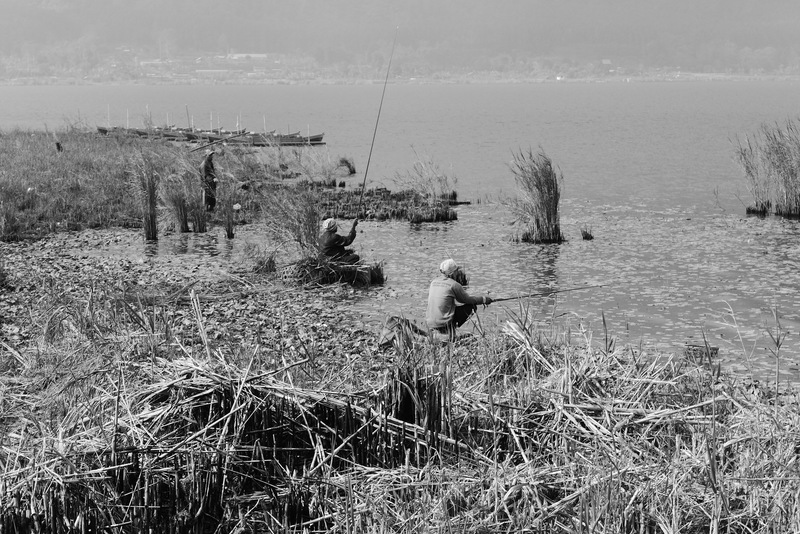 I found this place at the last minute which gave me a bit more breathing space in terms of our budget. 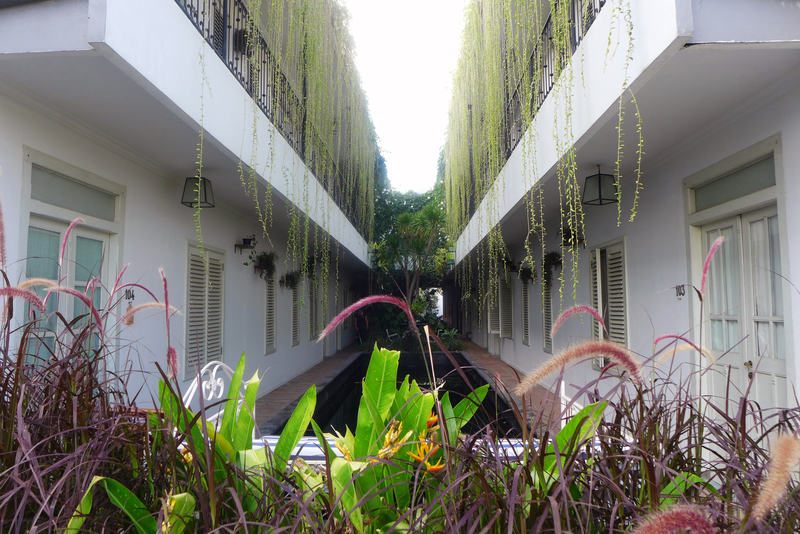 Situated along Batu Belig, it is near the other places we wanted to see like Ku De Ta and Potato Head Beach Club. Since we got a good rate when we booked this place, we chose their largest room called the Suite Magena. 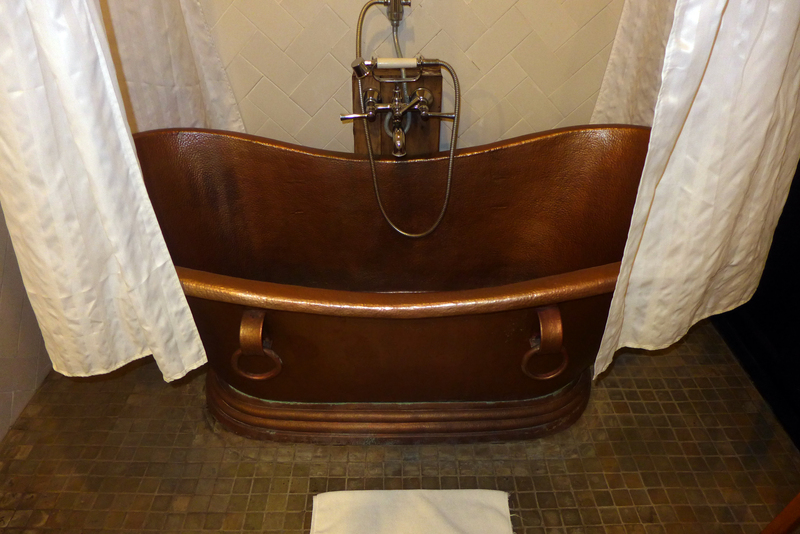 This room features a copper bathtub in the bathroom. The overall design is rustic and has a very homey vibe to it. Our room is located in the ground floor at the far end of the establishment. 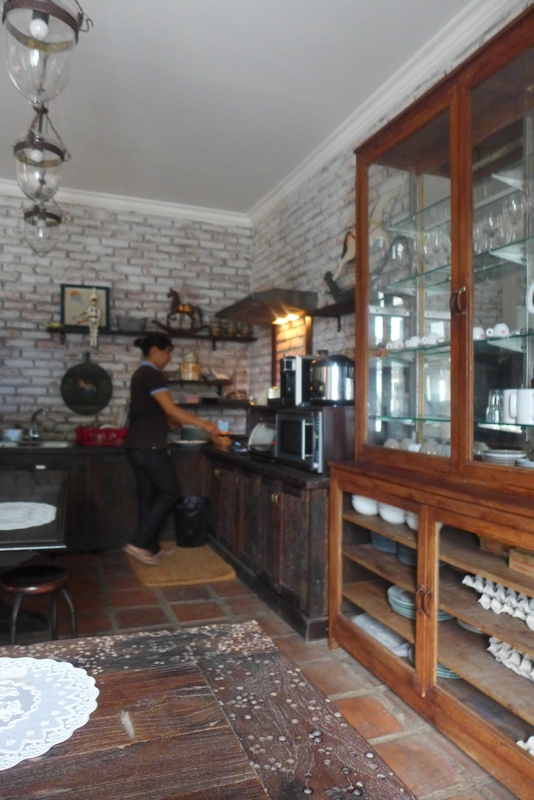 If you’re planning to stay around the area (near Seminyak) but don’t want to blow your budget, I strongly recommend staying at this place. 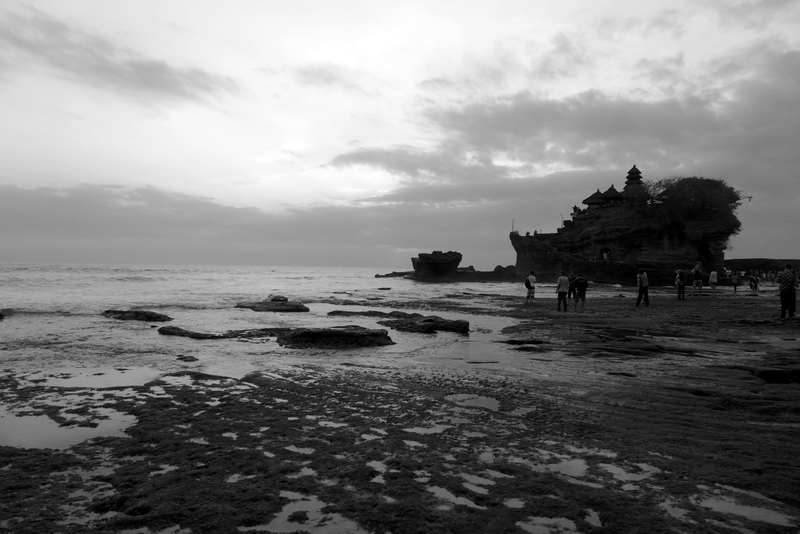 Go to Part V to see where we went during our third day in Bali. 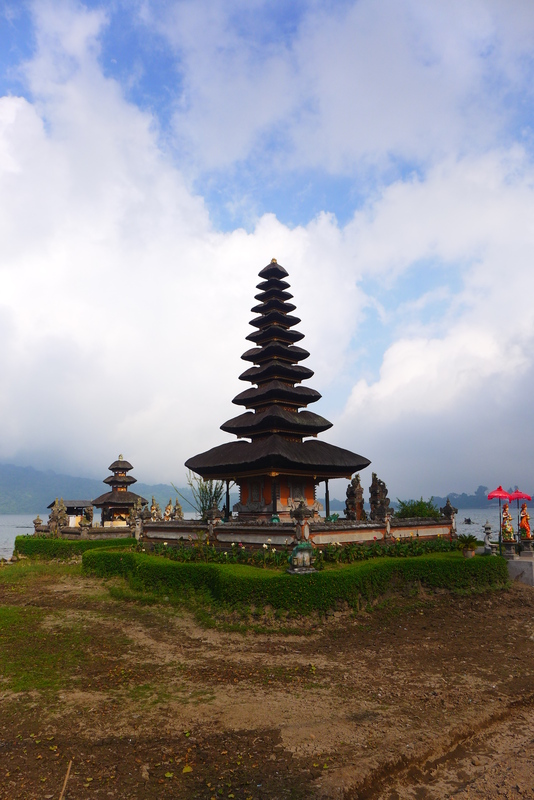 Our second day is again, temple day! 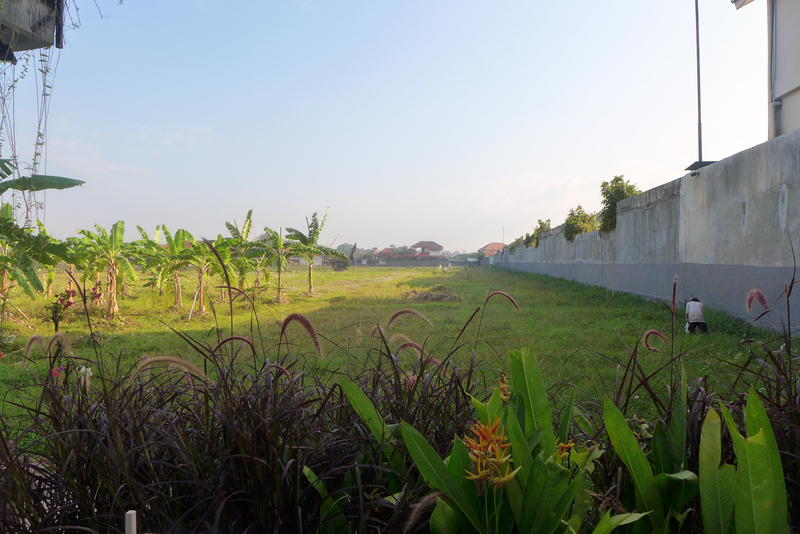 The plan is to finish Ubud and the upper parts as we are moving south afterwards. 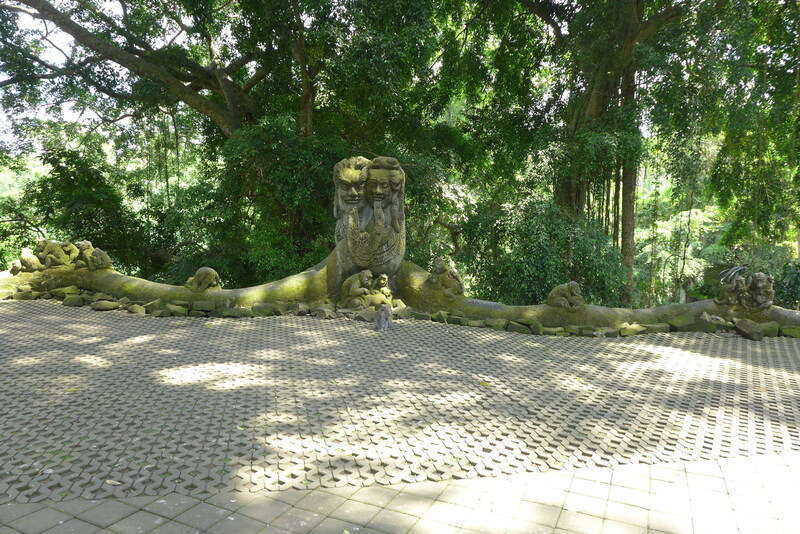 We first headed to Monkey Forest since it was near the resort. As the name suggests, there were lots of monkeys around the area. For those who have not been warned, avoid bringing headgear and sunglasses. Tourists usually fall prey to monkeys grabbing those accessories. Since the area was long, it was always good to see fellow visitors walk-by. We sometimes get scared of the larger monkeys as they seem aggressive at times. We tried to stay on the main pathways. 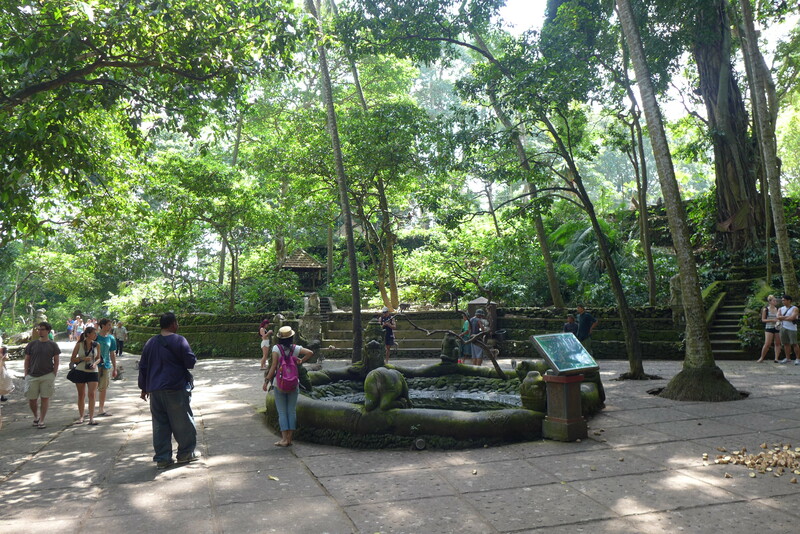 We wanted to walk around Ubud since it’s regarded as the “artsy” part of Bali. 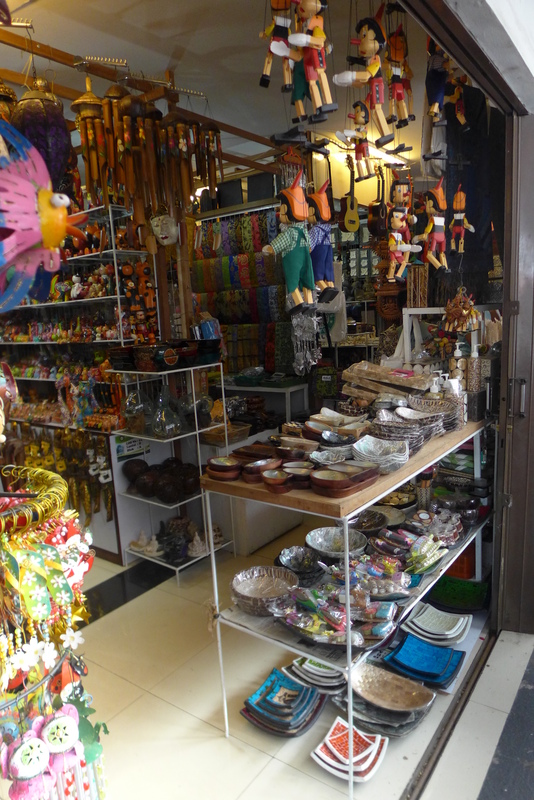 There were lots of small shops and boutique stores around the Monkey Forest area. 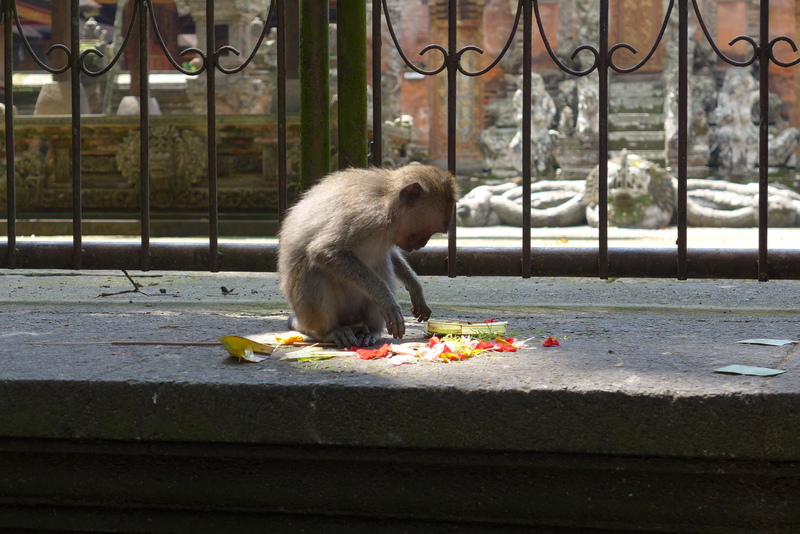 Instead, we just headed straight to the Ubud Market since we did not have the time. 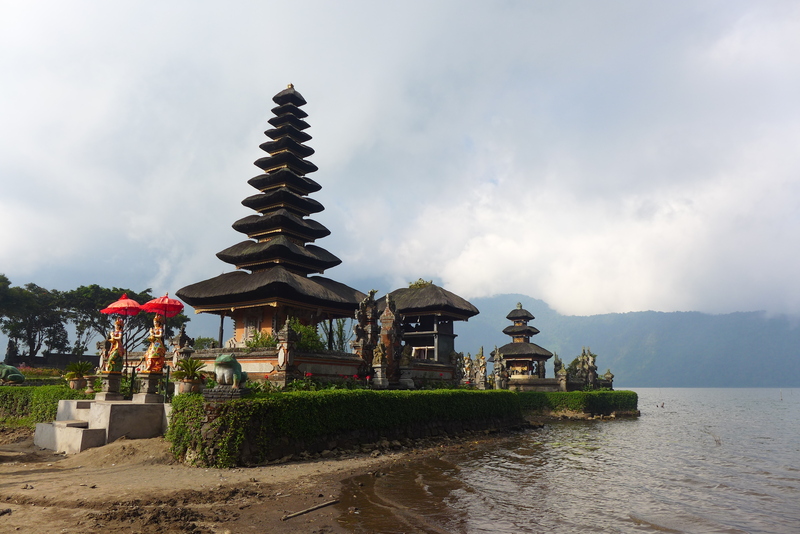 Our next stop took us up north to visit the Ulun Danu Temple along Beratan Lake. 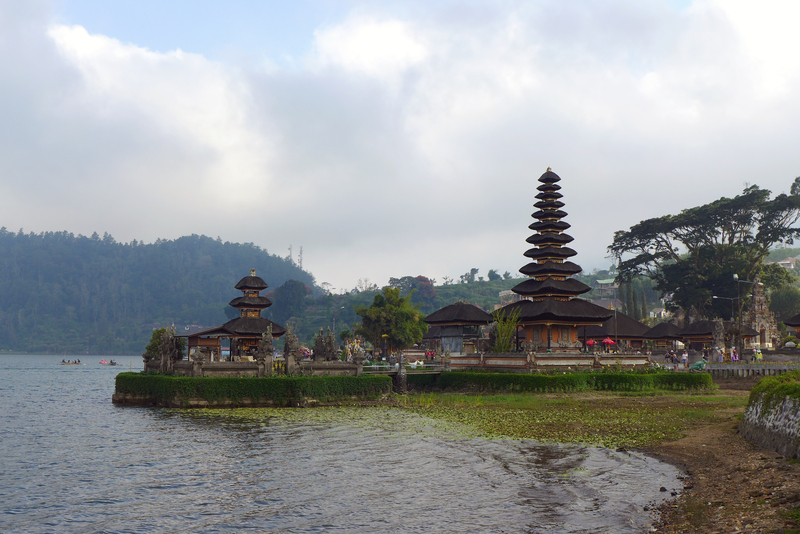 This temple is one of the must-sees according to a lot of travel reviews. There were lots of people taking pictures within the lake temple so it was hard to capture a good shot. Alas, I was lucky enough to take one last shot of the temple. There was no one around for a moment. 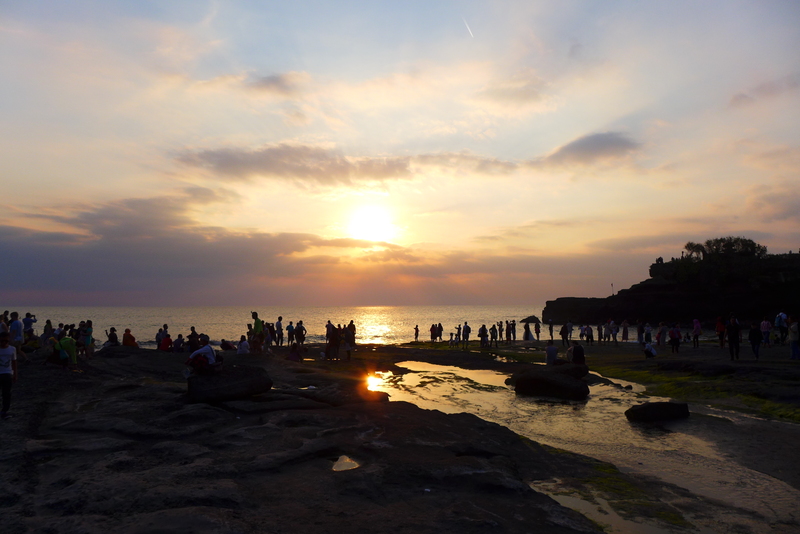 As the sun was about set, we headed south for our last stop – Tanah Lot. I was really looking forward to seeing this place. 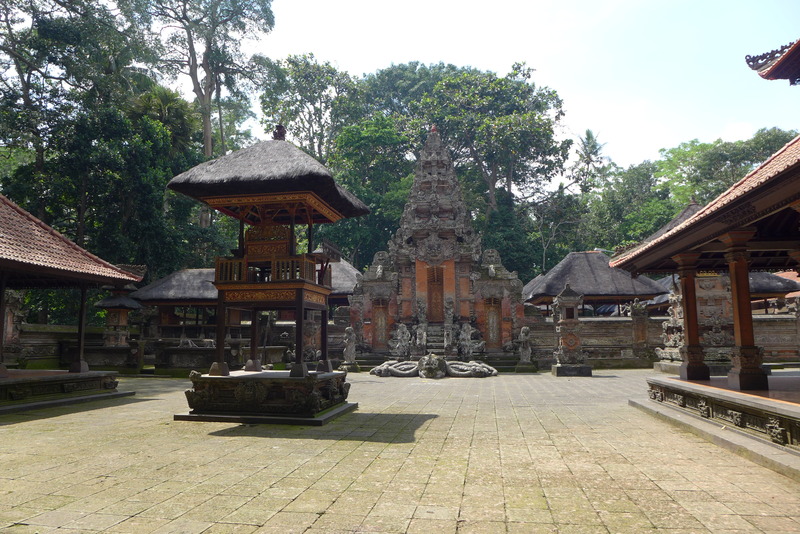 We rushed towards the entrance as you had to go through several gift shops before reaching the temple. We made it just in time! The sunset was great! 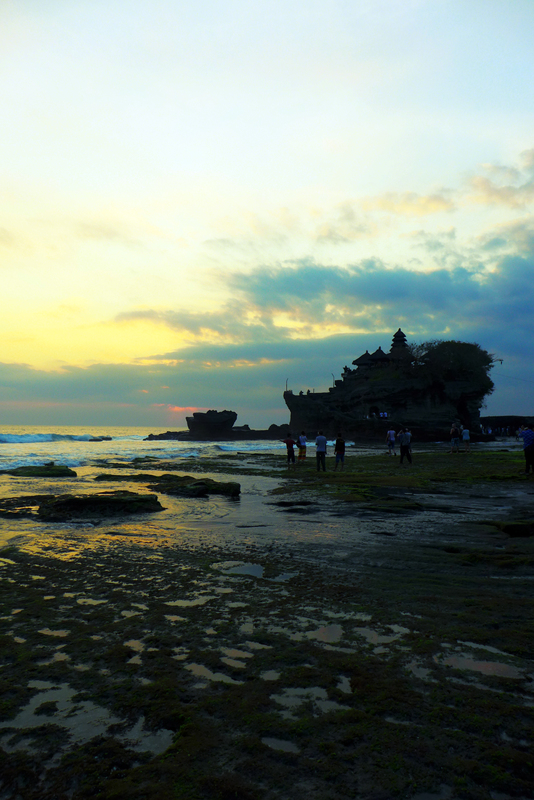 I have seen photos with a much better angle of Tanah Lot. We did not have the time to plan it so we just went straight to the far right of the temple. Maybe, we should go back again. At this point, we were already so exhausted from two days of temple touring. 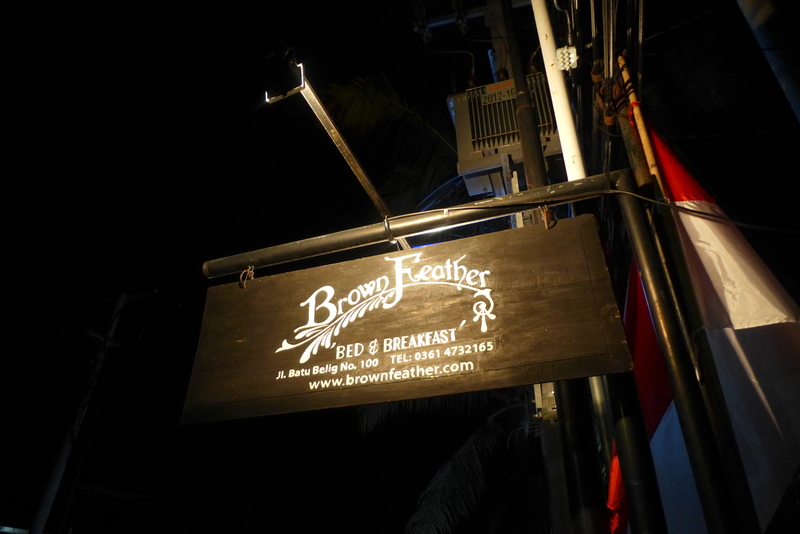 By sun down, the tide was already getting high so we decided to head to Batu Belig to check-in at our next place – Brown Feather! 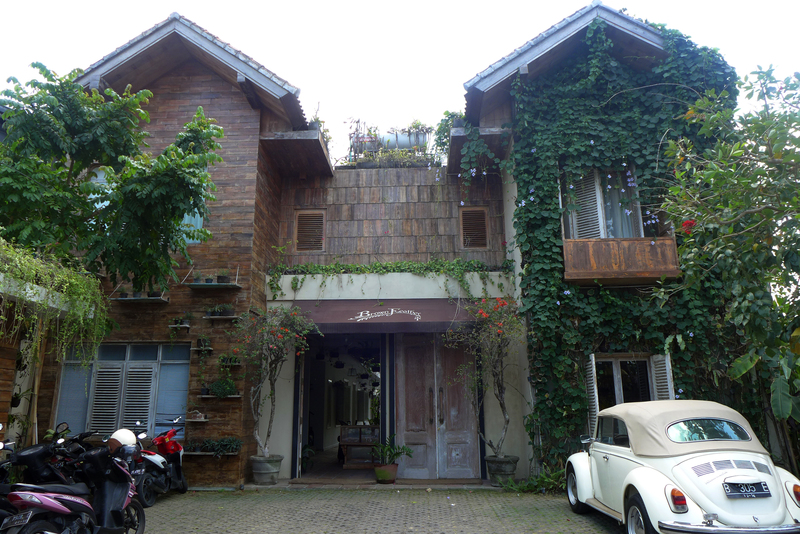 I was hoping that this place would look like the photos we saw when we were searching for places to stay near Seminyak. Very affordable and the location is near places like Metis, Potato Head Beach Club andKu De Ta. This was indeed a hidden gem! 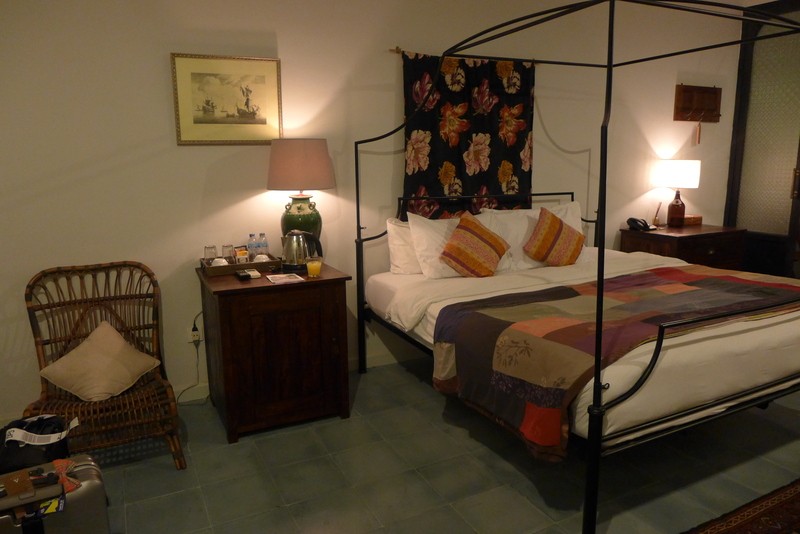 More about this lovely bed and breakfast in my next post. It was already getting late but we still had to find a place for dinner. Luckily, there’s a nearby Naughty Nuri around the block. 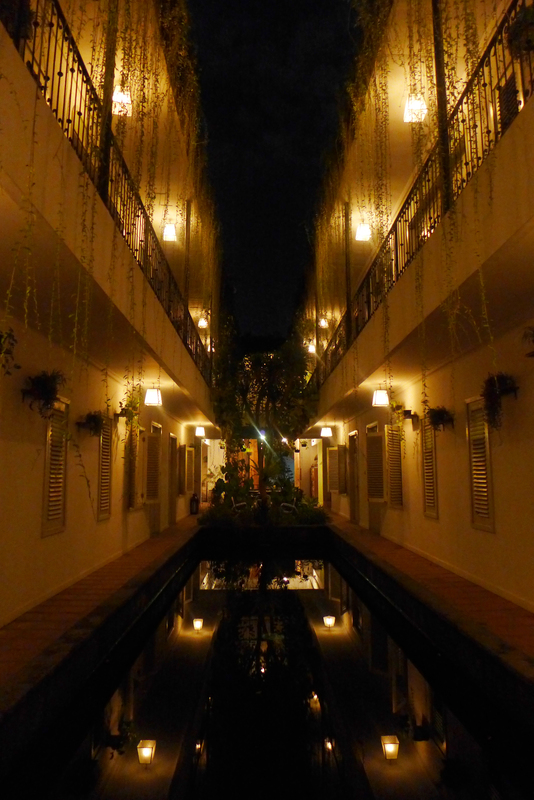 It took us around 15-20 minutes of walking down the main road to get there at night. 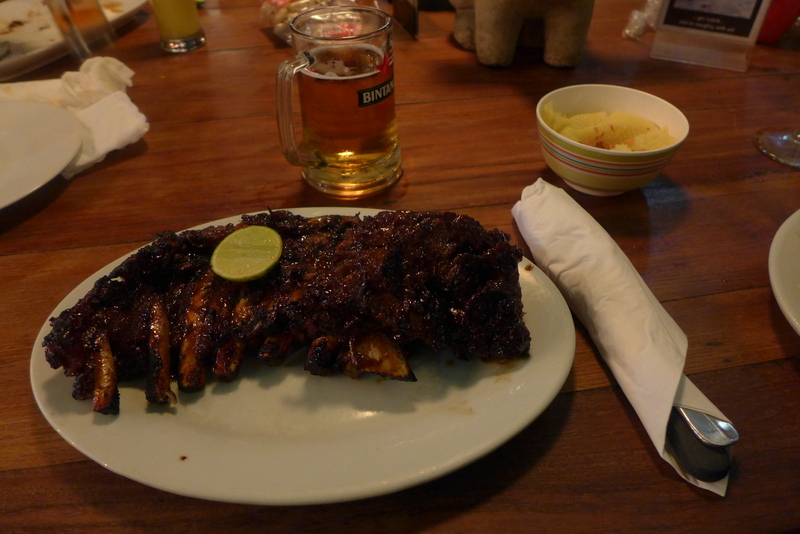 Naughty Nuri is famous for their ribs. Since the place was jam-packed, we stayed in a large square table with other guests. 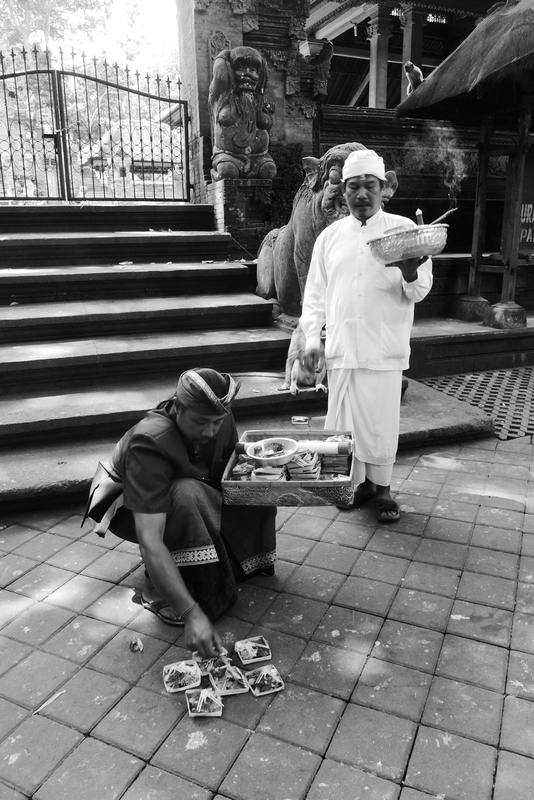 Good food and some nice temples for Day 2! Head to Part IV: Brown Feather Bed & Breakfast.